Two of the best sidekicks to take on any journey in Warner Bros. Pictures’ “The LEGO Movie 2” would be MetalBeard and Benny, played by returning stars Nick Offerman and Charlie Day. Though they’re as different as a galleon to a rocket ship, the bottom line is, these guys just want to get the job done and help their friends. 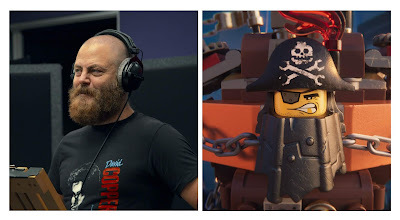 Having worked successfully side by side in the original “The LEGO Movie,” MetalBeard and Benny the Spaceman have become something of a duo, with Benny often helping his pal re-attach his head and various limbs that tend to go astray. 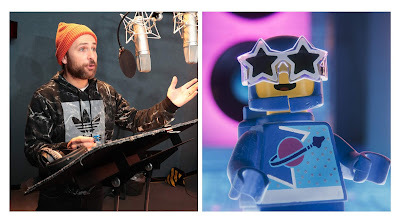 The vintage minifigure Benny, moviegoers will remember, is a loopy astronaut with a cracked helmet. A great and loyal friend, he’s always on board whenever and wherever an adventure takes the gang, but above all, Benny is known for one defining trait. “He loves spaceships!” Day declares. If he’s not piloting or building them, it’s guaranteed he’s talking about them or just thinking about them. The much-anticipated sequel to the critically acclaimed, global box office phenomenon that started it all, “The LEGO® Movie 2,” reunites the heroes of Bricksburg in an all new action-packed adventure to save their beloved city. It’s been five years since everything was awesome and the citizens are facing a huge new threat: LEGO DUPLO® invaders from outer space, wrecking everything faster than they can rebuild. Reprising their starring roles from the first film are Chris Pratt as Emmet, Elizabeth Banks as Lucy (aka Wyldstyle), Will Arnett as LEGO BatmanTM, Nick Offerman as Metal Beard, and Alison Brie as Unikitty. They are joined by Tiffany Haddish, Stephanie Beatriz, and Arturo Castro as, respectively, new characters Queen Watevra Wa-Nabi, Sweet Mayhem and Ice Cream Cone.